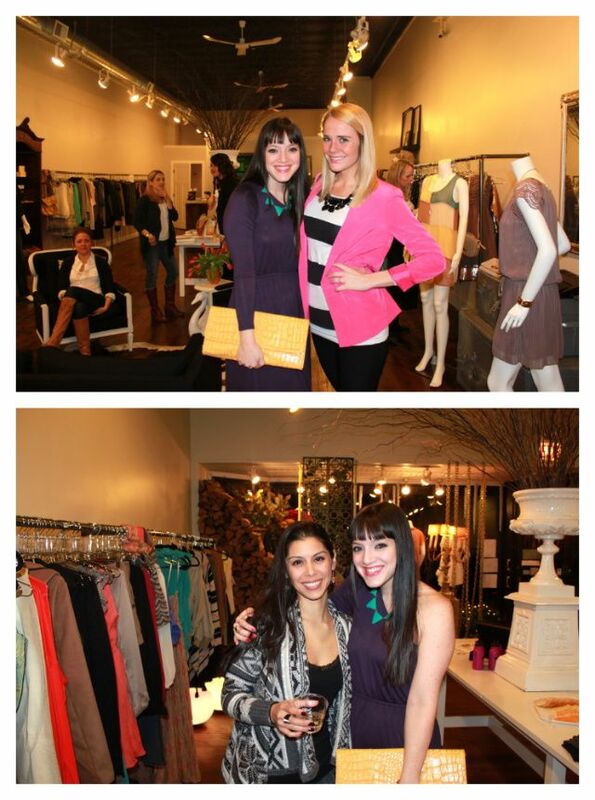 Myself and Kaitlyn went to a boutique party at GiGi Bottega last week and had such a wonderful time. The store is right in downtown Evanston (612 Davis Street Evanston, IL 60201) and carries a wide range of designers including BB Dakota and Blu Pepper. 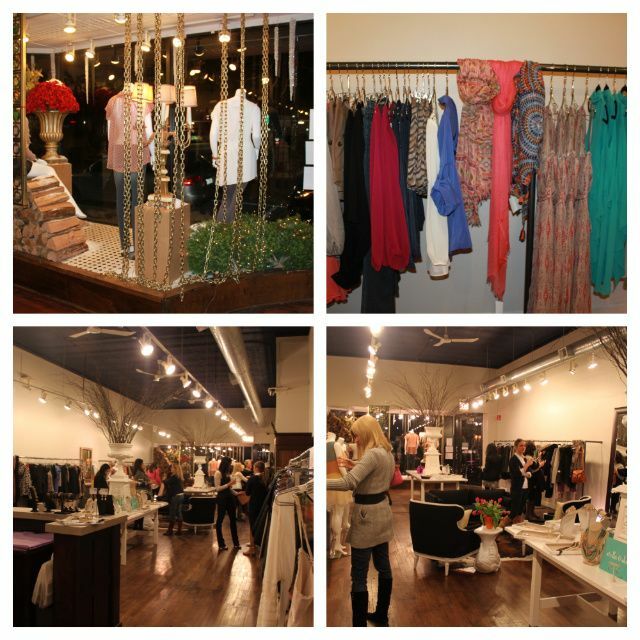 The boutique has just recently opened and I think the set up is beautiful (she even found gorgeous hardwood floors under what was once carpeted! Score!!). Here are some photos I took while walking around the store. We got there first so we were able to get some great shots! 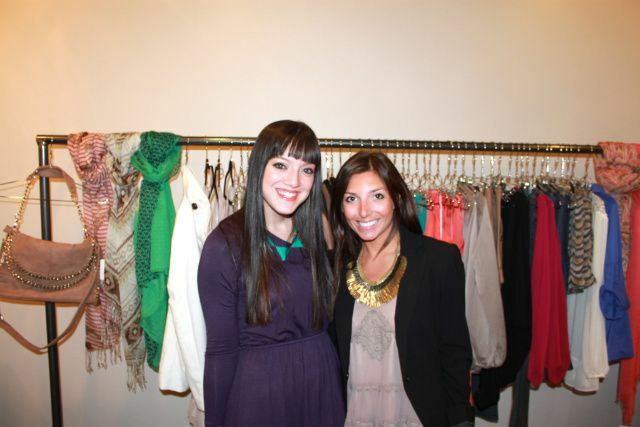 ;) The first photo is of me and the store owner Gina (how adorable is she!?). Yes, fellow CBN blogger Mariposa of the Clever Clipper was there too! 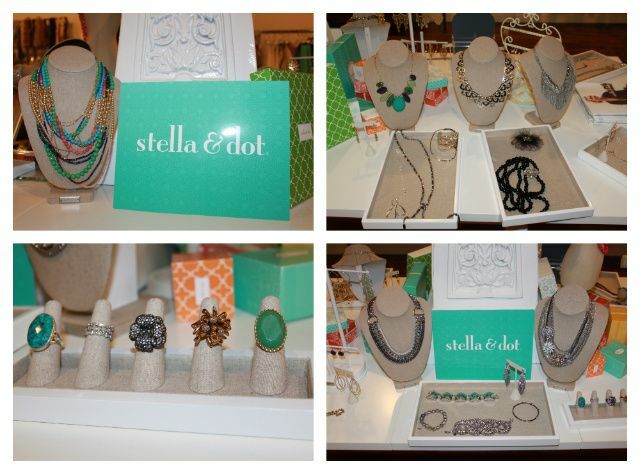 There was also a pop-up trunk show for Stella & Dot at the boutique that night. 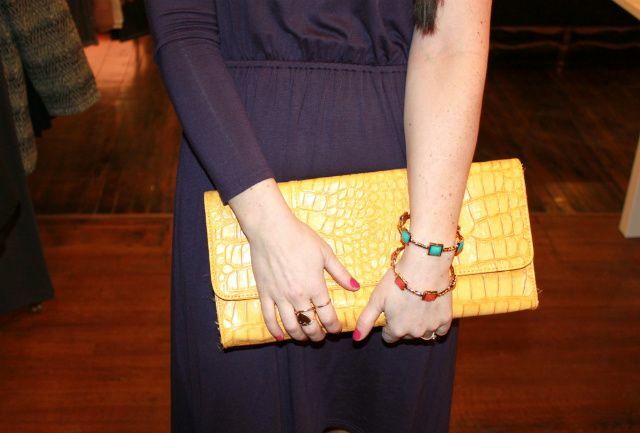 Here are some photos of their classic designs and a bit of their amazing spring line. The necklace in the first photo is called the Zahara Bib Necklace....SWOON! Happy Shopping ladies (and gents)! I need to check it out! We are pretty close to Evanston. How fun and I love your outfit. You look so cute! Love the look! Very cute, love the color choices! You look hot! I love the one shoulder and that purple is such a great color on you. 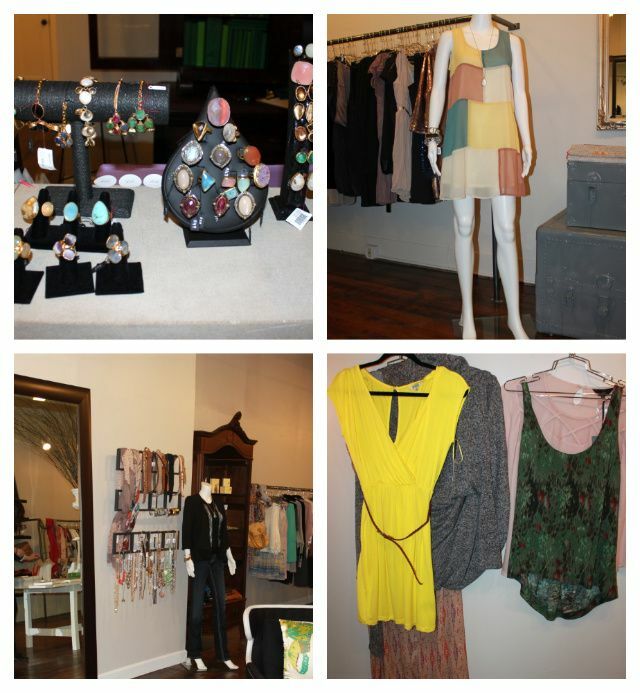 That boutique looks totally adorable! I wish I could visit! gorgeous outfit! 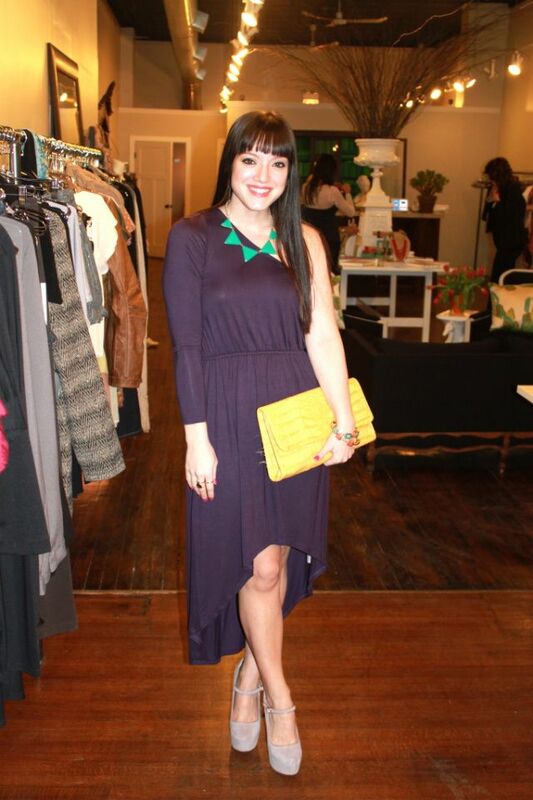 love the dress and necklace is perfect as well! that boutique seems having so interesting stuff, i wish one day i could visit it. I wouldn't mind creating a post or elaborating on many of the subjects you write about here. Again, awesome blog! I'm inspired! Extremely useful info particularly the remaining section :) I take care of such info much. I used to be looking for this particular information for a long time. Thank you and good luck. and small, armed with notebooks or, these days, digital cameras. investors:" I am absolutely cheap holidays delighted that we have in our estate.